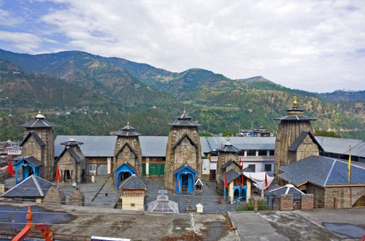 Highlights The beautiful Laxmi Narayan Temple was built during the 10th century with contributions from the Rajahs of Chamba. It is believed that Raja Balabhadra made the idol of Garuda and Raja Chhatra Singh decorated the temple tops. Also, there is a legendary story attached to the temple, which says that eight of Raja Sahil Verma's sons were killed in their search for suitable marble to build the temple. The eldest son- Yugkara successfully bring the marble with the help of a saint. 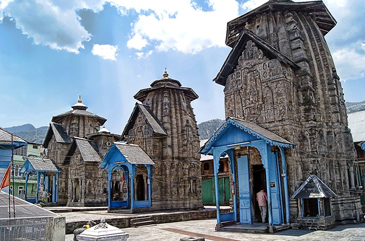 The Laxmi Narayan Temple resembles the Shikhara style of architecture with a Garb Griha, Shikhara, and a Mandapa. The roof of the temple was designed to hold the heavy snowfall, which is common in the months of December and January. Inside the temple, there is a main idol of Lord Vishnu, which is made using a rare piece of marble that has a glittering appearance. Other Info The temple opens at 6 AM and closes at 8:30 PM with an interval from 12:30 PM to 2:30 PM. 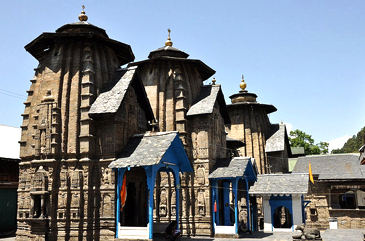 To visit the temple, one can hire a taxi from Dalhousie and reach the Laxmi Narayan Temple, which remains open throughout the year. If you want to enjoy the scenic beauty around the temple and be comfortable in cool weather, then do visit the place in winter as Dalhousie looks its best during this season.